The name of the Federation shall be “The European Federation of Conservative Dentistry” (hereafter referred to as the ‘EFCD’). The EFCD exists pursuant to article 60 and seq. of the Swiss Civil Code (hereafter referred to as Swiss CC) having its legal domicile and official address in Basel, Switzerland. The Federation was constituted in Basel, Switzerland on 20 December 2001. Europe: The collection of countries included in the European geographic region. Conservative Dentistry: The discipline of dentistry spanning all aspects of the prevention and treatment of diseases of the teeth. The prime object of the EFCD shall be to contribute to the promotion of oral health in the public interest by encouraging excellence in the clinical practice, teaching and research pertinent to all aspects of Conservative Dentistry. The EFCD shall be a non-commercial, non-profit making organisation. 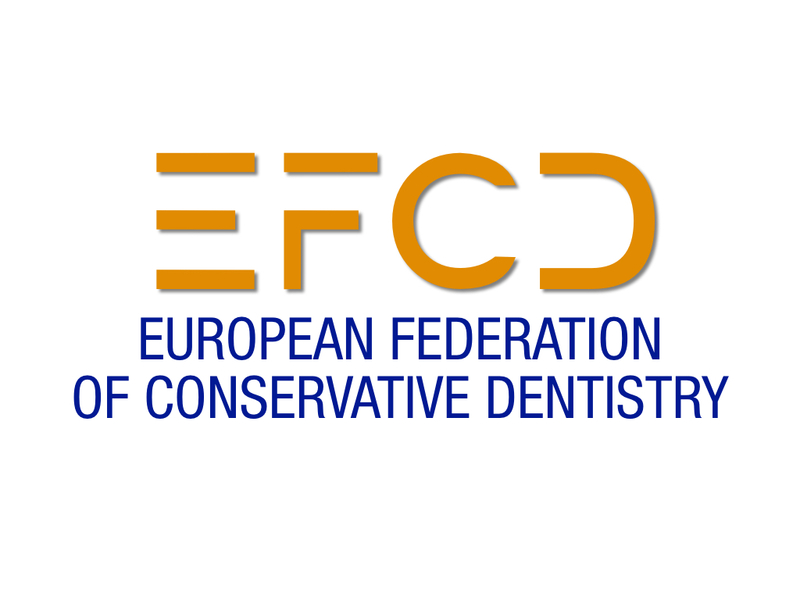 Any European or national society, association or other organisation in the field of Conservative Dentistry in Europe shall be eligible to apply for Full Membership of the EFCD. Such an organisation must be able to demonstrate that it is promoting national and, where appropriate, international standards of excellence and the development of new knowledge and understanding in the field of Conservative Dentistry as judged by the Executive Committee of the Federation and sanctioned by the General Assembly. Other organisations which do not fulfil the requirements of Full Membership but have a special interest in the object of the EFCD as judged by the Executive Committee of the Federation and sanctioned by the General Assembly. Manufacturers of dental materials, equipment and instrumentation, publishers and other commercial organisations with a special interest in the object of the EFCD as judged by the Executive Committee of the Federation and sanctioned by the General Assembly. Individuals with interests in the object of the EFCD as judged by the General Secretary and Treasurer of the EFCD, on behalf of the Executive Committee and General Assembly of the Federation. Honorary Membership will be limited to individuals identified by the Executive Committee of the EFCD and sanctioned by the General Assembly as having made an exceptional contribution to Conservative Dentistry. List of honorary members: Nairn Wilson, London, UK. European and national organisations in Conservative Dentistry are eligible to apply for Full Membership subject to acceptance of the EFCD By-laws and a commitment to support the object of the EFCD and to pay annual dues. The annual dues for Full Membership shall be 1,000 Euro. Application for full membership will be made to the Secretary General who will submit the application to the Executive Committee for consideration. The General Assembly will have the power to sanction the granting of Full Membership on the recommendation of the Executive Committee. Other organisations which do not fulfil the requirements for Full Membership but have a special interest in the object of the EFCD are eligible to apply for Associate Membership subject to acceptance of the EFCD By-laws and a commitment to support the object of the EFCD and to pay annual dues. The annual dues for Associate Membership shall be 100 Euro. Application for associate membership will be made to the Secretary General who will submit the application to the Executive Committee for consideration. The General Assembly will have the power to sanction the granting of Associate Membership on the recommendation of the Executive Committee. Manufacturers of dental materials, equipment and instrumentation including preventive and related products, publishers and other commercial organisations with a special interest of the object of the EFCD are eligible to apply for Corporate Membership subject to acceptance of the EFCD-By-laws and a commitment to support the object of the EFCD and to pay annual dues. The initial dues for Corporate Membership shall be 5,000 Euro. Thereafter the annual dues for Corporate Membership shall be 2,500 Euro (for 2009 and 2010 the anual dues are reduced to 2,000 Euro). Application for corporate membership will be made to the Secretary General who will submit the application to the Executive Committee for consideration. The General Assembly will have the power to sanction the granting of Corporate Membership on the recommendation of the Executive Committee. Proposals for Honorary Membership may be made by any Full Member. Nominations will be sent to the Secretary General who will submit the nomination to the Executive Committee for consideration. The General Assembly will have the power to sanction the granting of honorary membership on the recommendation of the Executive Committee. Decisions on entry to any category of membership require a majority of at least two thirds of those voting in both the Executive Committee and General Assembly. Full Members have the right to appoint two individuals to attend the General Assembly, one being the appointed or elected EFCD representative with a term of office of normally three years and the other normally an officer of the member organisation. At meetings of the General Assembly full members will have two votes. Only EFCD representatives can be nominated to be elected to the Executive Committee. Associate and Corporate Members have the right to appoint one EFCD representatives to attend the General Assembly. Associate and Corporate EFCD representatives may not be nominated to be elected to the Executive Committee. At the General Assembly Associate and Corporate Members will have one vote each. .
Honorary Members will have the right to attend the General Assembly but will not have the right to vote. Honorary Members will not pay any dues. Any member organisation is entitled to resign its membership provided it gives notice of its intention at least 6 months before the end of the calendar year (Swiss CC: Art.70, lit 2). Any member organisation which is in arrears with its subscription or is deemed by the General Assembly to be failing to meet the requirements of membership of the EFCD shall have its membership terminated. Honorary Members are entitled to resign their membership at any time. The General Assembly shall consist of representatives of members present at a duly convened meeting. The quorum shall be 50% of those eligible to attend. iv. to authorise the signing of contracts with other organisations for projects of mutual benefit. viii. approve the time and place of future General Assemblies and scientific meetings. The General Assembly shall meet only when a Conseuromeeting is organised. Representatives of the members, shall be informed of the date and the time of the General Assembly at least 6 weeks before the meeting is convened. An extraordinary General Assembly shall be convened by the Executive Committee, or a request can be made by at least five full members or a fifth of all full members (Swiss CC: Art. 64, lit 3). For urgent matters the EC can use an electronic mail sent to all the members of the GA asking them for their opinion. If sufficient members respond in a positive way the issue is adopted. Attendance of the Members of the Executive Committee at meetings of the General Assembly shall be at the cost of the EFCD. Attendance of the representatives of the members at meetings of the General Assembly will be at the cost of the member organisations. EFCD scientific meetings shall be organised according to “Guidelines on the Organisation of EFCD ConsEuro meetings”. xv any other competent business. Members who wish to raise specific items of new business should normally inform the General Secretary at least eight weeks prior to a scheduled meeting of the General Assembly. Decisions of the General Assembly shall be carried by simple majority vote of members, either by a show of hands or secret ballot except where otherwise stated in the Constitution and By- laws. Each member may act as proxy for one absent member, providing that written notice has been given by the absent member to the General Secretary prior to the meeting. The President or his/her alternate shall have a casting vote in the event of a tied vote. The Executive Committee shall be the administrative body of the EFCD. The Executive Committee shall meet at least once a year. At least two Councillors elected by the General Assembly from among the representatives of the members. All past presidents are entitled to become consultants of the EFCD. The standing president wil ask each past president at the end of his term whether or not he/she is prepared to act as a counceillor. Once accepted the appointment will be indefinite. The Executive Committee shall recommend the number of councillors considered appropriate to the General Assembly and will have the power to co-opt up to two additional non voting representatives of members. The President shall lead the EFCD and preside over the General Assembly and meetings of the Executive Committee. He/she shall be elected for two years. His/her tenure of office shall commence on 1 January of the first year of office and end on the 31 December on the second year of office. He/she shall report on the current state of the EFCD to the General Assembly. He/she shall decide on questions of order and, after consultation with the other officers, shall be empowered to act on behalf of the EFCD. Any such actions shall be reported to the next meeting of the Executive Committee. Following completion of his/her term of office, the President will, with immediate effect, become the Immediate-past President. The Immediate Past President. The term of office of the Immediate-past Presdident shall come to an end on the 31 December of the second and final year of office. Past Presidents. Past Presidents, following completion of their term of office as Immediate-past President will be entitled to join an Advisory Board of Past Presidents. This board will advise at the discretion of the President. The President-elect who will become President without further election shall be kept informed on all business and shall assume the duties of President in his/her absence or if requested to do so by the President of Executive Committee. In the abscence of the President and the President-elect, the Immediate Past President will act as a deputy to the President. The President-elect shall be elected by the General Assembly. The term of office of the President-elect will commence on 1 January two years prior to becomeing President. The General Secretary shall serve as secretary of the General Assembly and of the Executive Committee and advise the President. He/she shall prepare all official minutes, collect membership fees and dues, maintain a list of members of the EFCD and their representatives, make annual reports to the Executive Committee and General Assembly, and assist with, and coordinate the preparation and organisation of the annual General Assembly meeting and the meetings of the Executive Committee. mail notices pertaining to all sessions of the EFCD, annual or special to the appropriate members. The General Secretary shall be elected by the General Assembly. The term of office of the General Secretary shall commence on 1 January subsequent to his/her election and conclude on 31 December at the completion of the fianl year in ofiice. The General Secretary shall keep the President appraised of all activities and developments on at least a quarterly basis. report annually to the Executive Committee and the General Assembly. All reports shall be circulated in advance of the meeting(s) at which they are to be considered. The Treasurer will provide whatever information may be requested by the Auditors and work with the Auditors in accounting for any anomalies identified in the accounts. The Treasurer shall be elected by the General Assembly. The term of office of the Treasurer shall commence on 1 January subsequent to his/her election and conclude on 31 December at the completion of the final year in office. The Treasurer shal keep the President and the General Secretary appraised of all finacial dealings and developments on at least a quarterly basis. The Councillors shall be elected by the General Assembly. The term of office of Councillors shall commence on 1 January subsequent to their election and conclude on 31 December of their final year in office. The Councillors will represent the views of the membership at meetings of the Executive Committee. The Editor shall work closely with the President and General Secretary in maintaining the website of the Federation and in producing an electronic newsletter to be published at least everuy six months. The editor shall be involved in the publication of any documents prouced by the Federation and in maintaining Federation archives. The term of office of the Editor shall commence on 1 January subsequent to his/her election and conclude on 31 December at the completion of the final year in office. The General Secretary, Treasurer, Councillors, Editor and co-opted members shall be eligible for re-election for a second term of office and in exceptional circumstances for annual re-election thereafter for a period not to exceed three terms of office. The Executive Committee shall direct and organise the activities of the EFCD, execute the decisions reached by the General Assembly and monitor the finances of the EFCD. It shall appoint the General Secretary and the Editor, subject to the agreement of the General Assembly. The Executive Committee shall normally meet at least once a year and may also meet at the request of three members of the Executive Committee. The EFCD will cover the cost of the attendance at meetings of the Executive Committee. Decisions shall be made by simple majority vote, either by show of hands or by secret ballot, except where otherwise stated in the Constitution and By-Laws. The President or his/her alternate will have a casting vote in the event of a tied vote. There shall be two auditors, neither of whom may be members of the Executive Committee. They shall be elected by the General Assembly on an annual basis. The Auditors shall represent the interests of the members. The Auditors are responsible for the examination of the financial state of affairs. The Auditors submit a report of the examination of the financial state of affairs to the General Assembly. Nominations for elections as necessary will be sought by the General Secretary at least 4 weeks before a meeting of the General Assembly. Only representatives of full members may be nominated. Where a ballot is necessary this will be conducted by the General Secretary and will take the form of a secret ballot by the General Assembly. Each representative of a member may act as proxy for one absent representative, providing that written notice has been given by the absent representative to the General Secretary prior to the meeting. The members of the Executive Committee may only vote at the General Assembly as a representative. The President will have a casting vote in the event of a tied vote. The General Assembly and/or the Executive Committee after approval of the General Assembly can establish Standing Committees to provide an opportunity to progress ongoing activities on specific areas of interest. Such Standing Committees shall have approved terms of reference with stated aims and objectives. The Executive Committee may ask a standing committee to undertake specific assignments. The Standing Committees shall report to the Executive Committee or the General Assembly as appropriate. Standing Committees may not incur expenditure without prior approval of the Executive Committee. The Executive Committee shall recommend to the General Assembly for approval the level of annual dues for the different membership categories. The financial year shall correspond to the calendar year. The Representative of each member shall be responsible for the collection of that members dues which should be received by the Treasurer, net of bank charges, by the end of January each year. The official currency of the EFCD shall be the Euro. The liability of the EFCD is limited to its assets. Personal liability of its members is expressly excluded. The official language of the EFCD shall be English. These By-Laws may be amended at any session of the General Assembly by a two third majority, provided that the proposed amendments are communicated to the members at least three months before the date of the General Assembly at which the amendments are to be discussed and voted on. The EFCD can be dissolved by a decision of a three-quarters majority of the present or represented full members. The Executive Committee will carry out the liquidation, prepare a report and deliver the final settlement to the General Assembly, which decides upon the fate of the balance at the bank. The balance at the bank will be distributed to other non-commercial, non-profit making organisation(s) operating in the interest of the public. In the event of a deficit balance, the liability of the membership will be limited to an amount not exceeding the level of the annual dues. The Constitution and By-Laws were revised in April 2009.